This project aims at further developing the pilot assistance system LNAS of the German Aerospace Center DLR to allow different types of approaches such as Continuous Descent Approach (CDA) respecting the specific environment of the Zurich airport (terrain, airspace restrictions, etc.). Taking into account the pilots user requirements, the human-machine interface shall be improved for an intuitive display of the aircraft configuration change and flight mode commands on an approach map. Additionally, the ATC information about the distance to threshold shall be used to optimize the vertical flight profile. 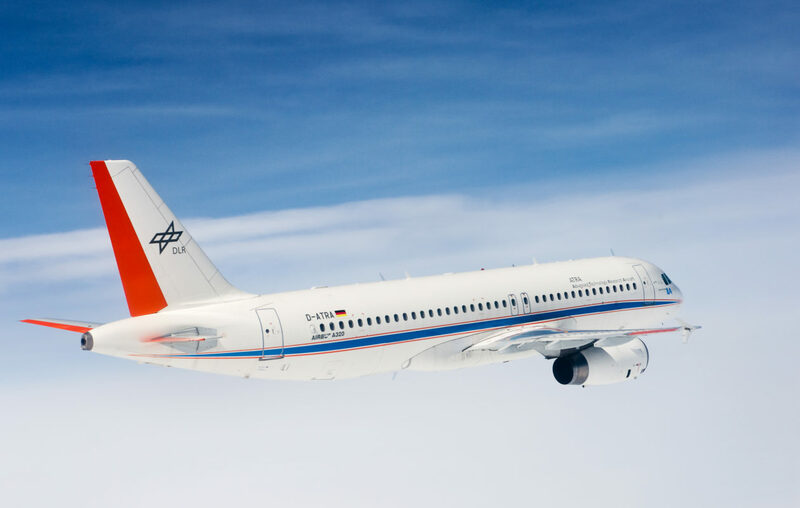 In a one-week flight campaign, the system will be demonstrated using the DLR Airbus A320 ATRA (Advanced Technology Research Aircraft) with regular airline pilots operating in the Zurich airport environment to reduce noise with optimized approach profiles and aircraft configuration changes. Noise measurements and subsequent single flight simulations with sonAIR based on FDR data will be conducted by EMPA to analyze the potential of this pilot assistance system. An operational trial with LNAS on Swiss Airline aircrafts and related 3-month noise measurements is an option of this project. Industrialization of LNAS is the long-term goal after successful demonstration. Figure Approach optimization for reduced noise level footprint (source DFS, illustration modified).